Rating is a native extension to handle the process of rating an application. It has a set of methods that can be combined to allow developers to collect and interpret some information before asking the user to rate the application, which might increase the chances of a positive rate. Regarding the available information, the extension provides a method to read how many times the application has been launched, how many uses per week and if the current version has been rated by the user, for instance. Regarding the rating process, the extension has a method to directly open the rating screen of the corresponding app store. Additionally it’s possible to define a period of time or a certain amount of launches to trigger the rating screen, among other options. 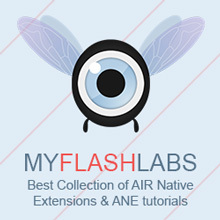 Air Native Extension, Android, iOS BSD. URL.